BAE Systems Regional Aircraft is working towards the possible launch of a passenger-to- freighter conversion programme for the Avro RJ jetliner and is seeking customer feedback to help assess market potential. Building on the experience gained and in-service success of the BAe 146QT (Quiet Trader) freighter of which around 30 aircraft were produced, the business has spent the past year assessing the suitability of the newer-build Avro RJ as a freighter. This work has created a full OEM-designed specification for the freighter which is now being offered to the market. The principal variant for conversion would be the RJ100 aircraft which are now starting to come out of passenger service and will be available over the next few years. The business can help potential customers source suitable aircraft. Typically such aircraft can be bought for between US $ 1-1.5 million and the freighter kit and conversion would cost between US$ 2.2 and 2.8 million. Availability would be from the end of 2017. Most of these aircraft will have accumulated between 20,000 – 35,000 flight cycles (depending on aircraft age and history). BAE Systems offers an Avro RJ Life Extension Programme which commences at 40,000 flight cycles and clears the aircraft life limit up to 60,000 flight cycles, ensuring many years of operational service. BAE Systems Regional Aircraft can provide a total support package, planned to last for at least a 15-20 year period. BAE Systems will have a strategic MRO partner who will provide the freighter conversion or working party support solution to suit any need. Typical lead-time from contract will be 9-12 months and conversion time will be a round three months, subject to the specific modifications that are required. In addition the business will work with any potential Avro RJ Freighter customers to develop bespoke specifications for the aircraft to suit differing requirements, including loadmaster seat, extended range, increased/re-distributed floor loading and remote operations. 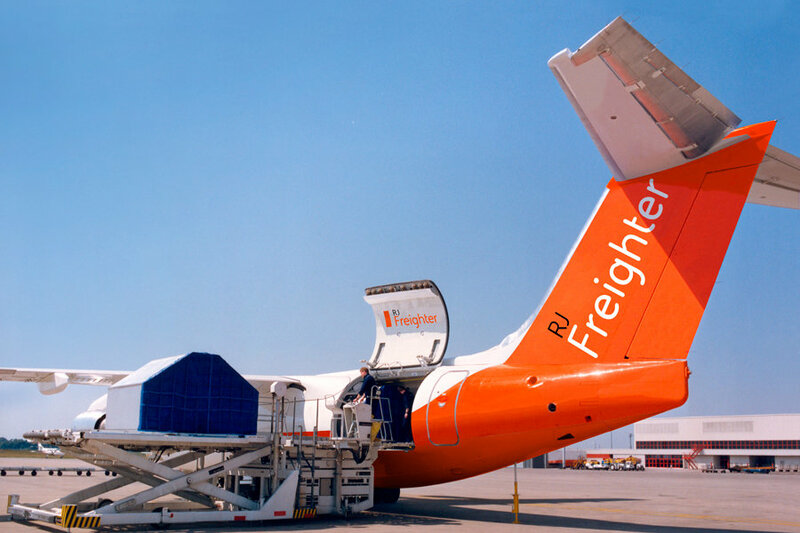 The Avro RJ Freighter, which can carry up to 14 tonnes of cargo, fits the gap between the 7- tonne freight capacity of current large turboprops and the 18 tonnes of the bigger Boeing 737 Classic freighter conversions.